This online Alcohol and Drugs Assessment is strictly for general information purposes and is not a substitute for an in-person clinical evaluation. The assessment is free & completely anonymous. You do not need to provide your name. The online alcohol and drug assessment takes about 5 minutes, and provides general feedback when completed. Please discuss any questions you may have with your physician or an addiction treatment professional. Your pattern of responses are associated with the DSM-IV diagnostic criteria for “Substance Abuse”. This is a potential cause for concern. It suggests that you could be at risk for future substance-related problems if you continue to use in the same manner. Most individuals who eventually develop addiction first experience the signs & symptoms commonly associated with substance abuse. Your pattern of responses are associated with the DSM-IV diagnostic criteria for “Substance Dependence”. This is a serious cause for concern. Substance dependence is a chronic, primary, progress illness as defined by the American Medical Association. While physical dependency may not necessarily be present, your reported pattern of substance use is unhealthy and poses dangerous risks to you if not promptly addressed. Your pattern of responses are associated with numerous DSM-IV diagnostic criteria for “Substance Dependence”. This is a serious cause for concern. Substance dependence is a chronic, primary, progress illness as defined by the American Medical Association. It is potentially fatal if left untreated. Your reported pattern of substance use is severe, and poses dangerous risks to you if not promptly addressed. Your responses suggest that you may have engaged in excessive or potentially “High Risk” use of a substance at some time. While you may not currently meet diagnostic criteria for Substance Abuse, it would be beneficial to you to maintain awareness of setting limits with substance use. Recommendations: No formal Substance Abuse treatment is recommended at this time. It may be helpful to increase your education on potential negative substance abuse effects & consequences, and to conscientiously set limits on any substance use in the future. Waiver/Disclaimer Statement: I understand that this assessment is for general information purposes only. I understand that Alcohol and Drug Services (ADS) is not receiving my assessment results and that ADS has no duty or responsibility to act on my behalf. I understand that it is my personal decision to seek treatment services or not. I understand that ADS is not receiving my assessment results, and that ADS has no responsibility to act on my behalf as a result of my taking the Online Alcohol and Drug Assessment. Site visitors cannot proceed with the assessment until he or she expresses agreement with the waiver/disclaimer statement. If you disagree with the waiver/disclaimer statement, please exit this part of the website. Thank you for your understanding! Within a 12 month period, I have had repeated use of a substance that resulted in failure to fulfill responsibilities at work, home, or school (such as work absences, suspensions from school, or neglect of home). Within a 12 month period, I have had repeated use of a substance that resulted in situations in which it was physically hazardous (such as driving a car or operating machinery while under the influence of a substance). Within a 12 month period, I have had repeated substance-related legal problems (such as arrests for disorderly conduct, public intoxication, or DWI). Within a 12 month period, I have continued to use a substance even though it caused repeated social or interpersonal problems (such as arguments with spouse about intoxication, or physical fights). I felt less effect from the same amount of substance used compared to when I first began. Yes, at least one of the above has been true for me. No, neither of these has ever applied to me. I had uncomfortable physical withdrawal symptoms when I ran out of the substance. I used the substance (or a similar one) to relieve withdrawal symptoms. Occurring within a 12 month period, I used alcohol or drugs in larger amounts, or used over a longer time period than was intended. Yes, this has been true for me. No, this has never applied to me. Occurring within a 12 month period, I experienced a persistent desire to use alcohol or drugs, or unsuccessful efforts to cut down or control my use. Occurring within a 12 month period, I lost a great deal of time in activities necessary to obtain alcohol or drugs, use the substance, or recover from its effects. Occurring within a 12 month period, important social, occupational, or recreational activities were given up or reduced due to alcohol or drug use. Occurring within a 12 month period, I continued to use alcohol or drugs despite knowing that they were causing a persistent problem. Disclaimer: This online assessment is for personal use only and is not meant to be a comprehensive clinical assessment. This online assessment may not be used for court-ordered evaluations, DWI assessments, or other mandated evaluations required by social services or similar agencies. Please discuss any questions or concerns you may have with a local addiction professional or your physician. Online drug assessments are not meant to be a replacement for a professional face-to-face clinical interview. 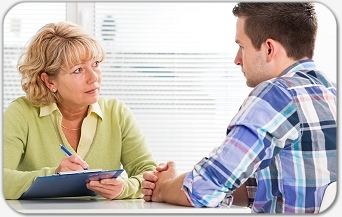 Assessing alcohol and drug use disorders typically involves an in-person interview, a review of court records, and administration of a standardized assessment tool. Some drug assessment professionals may also request a collateral interview (or phone contact) with a family member or friend in order to gain additional information on the extent of alcohol or drug misuse. How much does an assessment cost? The fee for an assessment tends to vary from one agency to another with the average fee being about $100. Some organizations may charge up to $200 depending on how the assessment is to be used, how quickly it is needed, and whether or not additional records must be obtained to support the assessment results.